That's all I have today, and now it's time for you to share. There are just a few rules. Me too. Gerberas, I love them. And then they ask me why, saying they are 'only daisies'. Yes, but what a daisy! That colour is so lovely. I'd like to see a colour chart of that image. I do love daisies too - lovely pic Deb! I accidently put the wrong link in this linky and now I can´t change it. Can you change it to this: http://www.tinajoathome.blogspot.com/2012/03/cherry-blossoms-and-willow-buds.html ? The soft pink on that one is really lovely! Or can I change it myself somehow? Hi Deb, this is a lovely wee flower, such a gentle and lovely colour. I love Gergbera Daisies too. This is such a lovely shot! Oh I think they are so pretty too! I love the funky colored ones the best! I know how you feel, my daughter and I love the gerbera daisies. When she was little she always had to pick one from the nursery to keep in her room. Beautiful.. so soft and subtle! stunning photo! Mine is the calla lily! I really like the angle you shot that flower at. I LOVE gerberas! Beautiful shot. I love tulips SO much. not sure what it is about them, but I do. Your flower is amazing and gentle. So beautiful ! In my opinion that is one of the most cheerful flowers. You just can't stay sad when you see one! Beautiful photo. Just an amazing flower! Congrats with the arrival of spring! Such a beautiful picture! Gerbera daisies are one of my favorites, too! But you're right, it is so hard to pick a favorite. I have a list of like five favorites! Oh, I just got some pretty pink ones, since I'm not able to get out right now! But I know what you mean, I might have a favorite of the day, but . . . The simplicity of this image makes it so BEAUTIFUL that it knocks my socks off Deb. Ahhhh- this would be beautiful in a wall size frame in my office. Beautiful! The way you've captured this lovely flower makes it look almost 3D - as if I could reach out and touch those soft petals. Daisy's are really beautiful, aren't they? Amazing colors in your photo!! 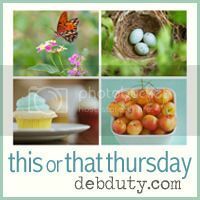 For me, it's a toss up between the gerbera daisy and the tulip. The daisy might be a bit more versatile to photograph, though - it looks great from almost any angle. This is absolutely beautiful; it's perfect! Deb, this is such a beautiful shot. It's simple, with great composition, soft tones and lovely focus. Perfection Deb! LOVE the composition. It's one of my favourites too. Love yours! I also love daisies! They're so cheerful. Your photo is gorgeous - stunning detail! Love that photo. Daisies are definitely in my top 5 favorite flowers. I'm also partial to azaleas, especially in the spring. They're blooming all over my college campus right now and I love it! Incredible photo of flower Deb!! 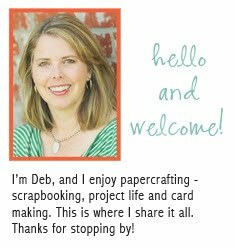 Thanks so for stopping by my blog to visit! You take the most amazing MACRO's. LOVE this one!!!! Agreed. My fave is just plain-old white daisies. I want them on my casket when I die. I vote for Gerberas! Can't wait to get some! 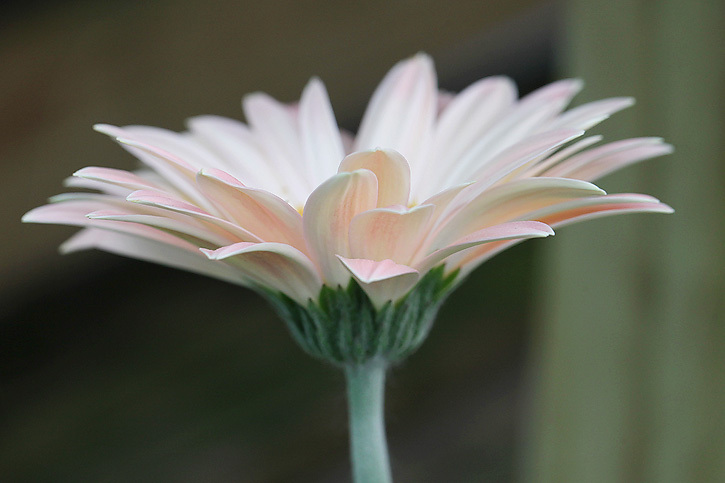 Beautiful gerbera Deb and you have photographed it so well showing the beauty of petals and stem. Daisies are my FAVORITE flower!!! I wouldn't be able to pick either! I love all flowers. Gorgeous shot! This is such a lovely shot! The pink is so soft and I love the darker pink that highlights each petal! Gerber daisies are my second favorite flower (2nd to the tulip). Deb, such a beautiful shot. I love your perspective on the flower...lovely focus. Lovely photo! The perspective and softness are exquisite. Thank you for sharing and for hosting this link up! Gerbera is also one of my many many favorites. I like that it has a clear shape. How gorgeous is that flower shot! Whao..that's a really lovely flower shot.. like the soothing colours the Gerbera has. I'm afraid I don't have any recent photos to link to at the moment, but I do think that photo is absolutely gorgeous. I need to get back in the picture game ASAP. Gorgeous capture, love the softness! Great photo! Depth of field is fantastic on this shot! Hope your having a great weekend! So beautiful, sorry I did not get to join you last week. I love Gerbera daisies, too. They're hard not to like with their layers of petals.